« Celebrate Aboard a New York Charter Yacht! A child’s Bar or Bat Mitzvah marks a turning point, coming-of-age worthy of a memorable event. Create a Yacht Bar Mitzvah or Yacht Bat Mitzvah that combines the full meaning of Mitzvah with the fun and excitement of your son or daughter’s big day. Not only would you have the perfect atmosphere of a yacht but also the scenic backdrop of the New York City skyline. Nautical Holidays has built some of the most exceptional events for all occasions whether it’s a family celebration or a corporate event. 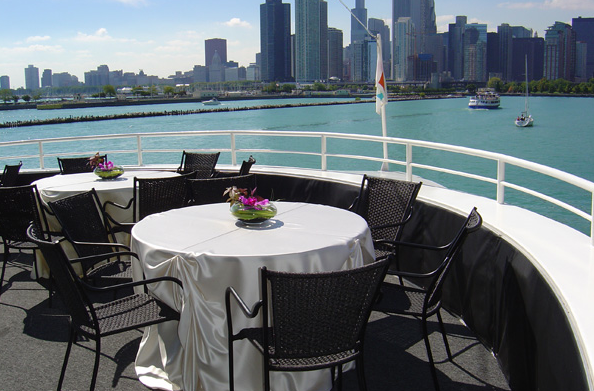 Our expert party planners are extended to you to help you select from our extensive list of luxury motor yachts and sailboats for a size and style vessel that appropriately suits your guest list and budget. We have extensive knowledge and expertise regarding party planning and will attentively work with you to provide the perfect, age-appropriate experience for your family and child’s friends; from meaningful ceremonies to the most popular music, dancing, and games. We also have four-star chefs available to create a menu that everyone will enjoy! Although our customers range from small family events to some of New York’s most important corporate groups; we always bring the same level of service to each and every one of our valued clients! We’ll conveniently help you select and design it all, from table settings to flowers, party favors, gifts, prizes, menus and more! Have questions or want to book your next party now? Contact us here. This entry was posted on Friday, October 14th, 2016 at 1:23 pm and is filed under News & Events. You can follow any responses to this entry through the RSS 2.0 feed.